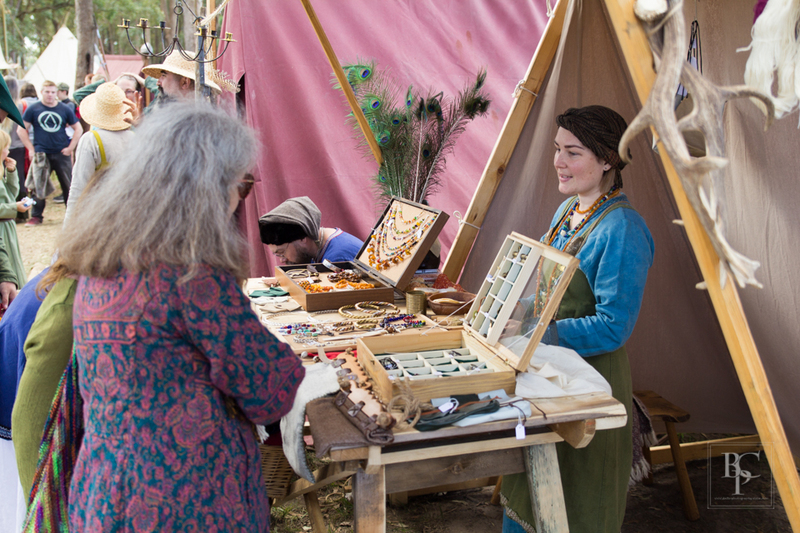 Our guest blogger is an Abbey Medieval Festival Volunteer Photographer. She writes about her day at the Tournament below. Why I am an Abbey Medieval Festival Volunteer Photographer? Like most visitors to the Abbey Medieval Festival I became entranced from the moment I entered the gate. As I was greeted with a “my lady” and a snap of my wristband I was transported to another time, another place. Inside the gates so much to see, smell, taste, experience and especially to photograph! Forget a safari or road trip, I hardly put my camera down! I knew I wanted more than anything to photograph inside the second rope. This was a world of swirling Romani skirts, the clash of sword on armour, the crack of a jousting lance as it shatters, of smiling kids running and playing barefoot. For photographers capturing each and every moment of the experience is paramount. I jumped at the opportunity to volunteer as a photographer for 2011, and again in 2012, not just the Medieval Tournament but also other great events at the Abbey Museum. We photographers get funny looks. Comments about our “medieval Canons” or the contrast between our costume and the hefty gear we carry around. We try our hardest to keep from blocking others views of the activities. Many times this means spending the day in wet and sometimes muddy clothing from sitting or laying on the ground. I call it being authentic. So how does a photographers day start? For me it starts months before as I work on my “medieval camouflage”. By blending into the rest of the festival as much as possible I can capture the day better, and combined with my official Abbey Medieval Festival Volunteer Photographer Tunic I’m ready to go as unnoticed as possible. The night before the tournament begins I set an alarm, and a backup, for early in the morning. Inevitably, I wake early from the excitement and by four I’ve gotten up to check that I have batteries, backup batteries, flash, monopod, lenses, spare lenses, and the all important memory cards packed. I also take the time to gather up fingerless gloves, a warm hat, the list goes on! Before the gates open and the grass is dry, photographers can be seen setting up, getting photos of fellow volunteers, the morning sun setting the castle aglow, glinting off a sword propped against a shield, or trying to plan out how to best capture everything. And then the day begins! For those who have experienced a tournament you know there’s so much to see and do. Photographers get assignments to cover, but there’s always more to fit in. Many times we may forget to eat or stop for more than a quick drink at the fountain because something just happened to catch our eye. From the chilly morning, to sunny bright afternoon, then back to the brisk evenings we’re there in the grass capturing each moment of the festival. But our day is hardly over when the gates close. After driving home we get all our cards downloaded, backed up, and reformatted. Batteries charged, a bite to eat and to bed to try and rest. Meanwhile images flits through our brain, and which ones we want to try and capture the next day! Even long after the final boom of the cannon on Sunday there is work to do, processing, editing and submitting all the photos to the Abbey Festival for use in promoting this great event. While this doesn’t seem much to some people, we photographers tend to have thousands of photos each day and that can sometimes take us all the way up to our deadline a month after the festival. Neda Lundie was born in the United States and now a citizen of Australia, Neda Lundie fell in love with photography at an early age. From the moment she picked up her first 110 camera as a kid in the early 80’s, to buying her first SLR second hand in year 11, the important thing for her has been to capture life to preserve memories. Neda has covered events at the Abbey Museum since 2011 including Abbey Medieval Festival, Kids Medieval Fun Day, Picnic at Pemberley, Kids Dig it Day and new to 2012. the Birds of Prey Experience. We have been busy making improvements to Abbeystowe (the Festival site) for this year and are proud to reveal the new bench seats that have just sprung up across the field! There are 30 new benches in total, each one is 2.4m long and capable of seating between 4-8 people at a time. They have been dotted all round Abbeystowe, particularly in places where you, our fantastic visitors, have requested them – near the food! “More seating!” has long been a cry of our visitors to the Abbey Medieval Festival and we’d like to thank our team of volunteers who put in the time to transform these lovely new seats from raw slabs of timber to backside bliss. We are now on the lookout for large sandstone or granite boulders to dot the site (let us know if you know where we can get some!). The Medieval Carnivale: Dampened show, warmed by a Fire Dragon! Saturday night at the 2012 Abbey Medieval Festival was Carnivale Night. Even though the conditions were wet, the crowd still lined up to get in the Jousting Arena to see the show. Friars Folly Tavern was busy serving mead to the costumed folk. The show began with a gypsy wedding display from Shuvani Romani Kumpani. The sounds of ululation and drumming coming from the gypsy encampment set a tribal start to the night. The Kamilaroi horse vaulting show was scaled back to accommodate for the slippery conditions. Still, the performance had the crowd on edge as the beautifully dressed riders performed handstands and rode without hands. The giant white horses lunged around in circles and the Gypsy drumming added to the suspense as youngest member of the riding team, Sasha Hinchcliff (7), performed her vaulting debut with bravery and style. The lighting was powered off as New England Medieval Art Society brought out the highly anticipated Fire Dragon! The crowd in the arena was warmed by giant burning fire mosaics. Cheers were heard from the crowd as a brave warrior slayed the dragon with a fire sword. While the weather put a chill on the show line up for many guests, the quality of the performances still managed to make the night worthwhile to see. Promises of music, costumes, fire, horses and dancing made the Carnivale a show not to miss. It was good to see so many people brave the rainy conditions. Would anyone like to see a day time show at a future Festival? Please leave us your comments and feedback. Ultimate knights in shining Armour at The Abbey Medieval Festival. Photography: Andrew Cumberland. Hold on to your veils ladies, the Australian Jousting Team proved that modern day Chivalry is not dead! Not only did the noble Sir Justin Holland win the Jousting competition at the 2012 Abbey Medieval Tournament, he and fellow jouster Sir Wayne Rigg, took home the previously unrecognised title of “Ultimate Knights In Shining Armour” as they rescued a real-life damsel in distress at the Carnivale Rehearsals. Our fair maiden had somehow twisted her foot while in the stirrup of her horse as she rode around the arena. The two Knights saw the lady was in distress and rushed to the scene to make sure she was not badly injured. Upon finding her in pain the Knights took some ice and horse leg bandage supplies from their encampment and without further word had wrapped the damsel’s foot up. The Knights carefully carried the young damsel into an awaiting carriage and sent her to the hospital to be checked. News of this anonymous act of chivalry from the Australian Jousting Team have restored our faith in chivalry in modern times! Perhaps you know of other Chivalrous acts that were seen around the Abbey Medieval Festival? Knights showing their respect. Photograpahy: S. Coulson. The 2012 Abbey Medieval Festival has been called a “huge success” after the release of the official attendance figures today. The record-breaking attendance figure of 37,302 is an increase of over 10,000 visitors from last year. “The Abbey Medieval Festival is an incredible success story and the whole region should be proud of what we have achieved,” said Marketing Manager Suesann Vos. “We have proved once again it is one of Queensland’s best-loved festivals. “There are many factors behind this success. “The exciting television commercials by Oversea Films helped motivate people to come out to the Abbey Medieval Festival. “We have a fabulous marketing team that has spread the word through the State-wide media, social media and our website. “The Abbey Medieval Festival has established some really important partnerships with far-sighted supporters such as the North East Business Park, Morayfield Shopping Centre and PR Print. “There was a strong growth in the popularity of Kids’ Medieval Fun Day on Tuesday 3 July. “The Festival was boosted by fantastic publicity – we had Weekend Sunrise broadcasting from Abbeystowe on Saturday 7 July. “Congratulations to Director Edith Cuffe and our dedicated band of 280 volunteers. “We are now working on how to deliver an even better Abbey Medieval Festival in 2013,” Ms Vos said. Added bonus to your Abbey Tournament ticket! If you are looking to see something out of the ordinary amongst all of the extraordinary attractions at this year’s Medieval Festival, then you should take the time to take in a guided tour of wondrous stained glass collection in The Abbey Church! Located about ten minutes away from the main Tournament site, in an easterly direction towards the Abbey Museum, the small but charming Abbey Church, is home to the largest and oldest and most significant collection of stained glass in all of Australia! The largest and most significant collection of Stained Glass in Australia. Just how this exquisite and extremely valuable collection of medieval stained glass (some of it dating back to the 14th C ) came to be housed in the Abbey Church, here in the back blocks of Caboolture, makes for an intriguing and a very interesting talk by our informative tour guides! Your Festival wristband allows for admittance by gold coin donation on the day to the church talk and tour AS WELL AS free admission to the neighbouring Abbey Museum of Art and Archaeology! Tour times are approximately 30 minutes in duration beginning from 12:15 P.M. through to 2:45 P.M. on both the Saturday and Sunday of the Festival. To see something truly awe- inspiring amidst some the many inspiring things you will see at this year’s Abbey Medieval Festival, we encourage you to discover the stained glass collection of the Abbey Church. Food….surviving the test of time! Life in medieval times was generally hungry. There’s really no way to hide that. There was however a big variety of food available and if you are lucky enough to attend the Abbey Medieval Banquet, you will have a chance to sample. However, depending on your social class, food was either more available or less. For some, the Gentleman’s or the Lady’s hounds, as related by Sir Justyn, ate better. Meat was very available, just not to everyone. People from the higher classes ate fowl, game, beef and lamb. Spices and preserves became a fashionable way to show wealth (brag factor was always big in the higher social circles) and breads from milled flour, dairy products and fish were readily available, if you were lucky. If you were unlucky, your diet was a little less varied. Perhaps the ‘Peasant’s Medieval Diet’ is something we should all partake in every now and then, as by all reports it was low in fat and high in fibre. However, it was also low in nutrition, which for the people of that time was no joke. Famine was always a reality and people constantly lived in fear of not having enough food. The subject of food, or lack thereof, permeates through many fairy tales resonating the harsh realities of life as it was in the middle ages. One of my favourites is the Grimm Brothers story of Hansel and Gretel. Earlier versions of the story relate how both parents partake in the decision to abandon the children, rather than see them starve. This was apparently a common occurrence at this time. The evil witch, whose house is made of food, symbolises the pre-occupation of the time with food. Little Red Riding hood also explores the subject of food…the wolf looming large! Sickness and injury was a constant fear for both the rich and poor in the middle ages, but at least if you were rich, and well nourished, and were able to pay for a physician to attend, there was some chance of survival. Our recent guest bloggers wrote about herbs and medieval surgery, giving us a vivid picture of what may have been. So, much like today, food was available to some in the middle ages, and not so for others. And many of the foods eaten in the medieval era, have survived the test of time and appear on our tables today. Many of course have not, but we are happy to report that the Abbey Medieval banquet gives us an opportunity to experience the tastes of yesteryear in an ambience which is both authentic and tasteful. Have fun on Saturday night! How to make your mark at a banquet without leaving a stain! Popular culture has done medieval dining a great disservice. A feast was a communal ritual which was governed by a precise etiquette. Gnawing on steaming haunches of boar and throwing the bones over your shoulder is best left to bad Hollywood movies. A banquet is an opportunity to eat, drink and enjoy and if you follow the advice in this short guide you can do so in a way that shows your superiority over those sitting at the other…lesser… tables. I should state at this point that this guide is mostly for gentlemen; the ladies do not need my advice on fashion nor manners. So what’s in for the late Middle Ages? Hats are in for gentlemen, you can go bareheaded, but hats (without horns) do make a fine statement. Luxurious fur trims are always fashionable, provided of course they have been removed from the animal. Swords are simply passé at dinner as it proclaims that you don’t have a body of armed retainers outside the hall awaiting your call. All you need know is for your valet to lay out your tightest hose and finest robes for the big event. To dine in a truly civilized manner you of course need servants, if however you are travelling light you will require the following: a spoon (gold, silver, base metal or horn), a knife (sharp), a bowl or two (clean), a napkin (white linen)] a goblet, glass or other suitable drinking vessel . These items can be used individually, sequentially or in combination with each other; but preferably not all at once. A generous host, such as the Abbey, will provide you with all that is necessary for enjoying the evening’s repast. Upon arrival at a feast it is customary to be offered a bowl of scented water to freshen up from your journey. This is used for washing your hands; no plunge bathing. Spoons are employed for eating soups, pottages etc. When not in use they are placed in your bowl, not in your hat or your neighbour’s lap when not in use. The napkin is for wiping of your fingers, mouth and utensils (eating). The knife is used for cutting dainty morsels (gobbets) to pick up in your fingers and eat. The knife should be not used to hew and hack at food in the serving dish, nor should it be employed to intimidate fellow diners in standoffs over the last brie tart. On no account use your knife to carve your name into the furniture, most of us know someone who can read and are not easily impressed. Eight wild boars roasted whole at breakfast, but twelve persons there. The sharing of a meal was a ritual that central to medieval culture. This was referred to as messing together. A feast will generally consist of a few courses and is often served onto central platters from which everyone helps themselves. Solid foods are transferred from the platter onto your trencher, which is a plate made from bread. Do not eat the trencher, this is an insult to the host, feed it to the dogs or even give it to the poor- but don’t pick at it! Otherwise you are hinting that your hosts are so miserly that you had to eat the table setting to ward off famine. Etiquette also demands you do not attempt to place a whole roast porpoise on your plate; take the opportunity to mess with the people around you (don’t think it). Good manners impress the ladies! Food will be served by the Abbey volunteers, do not call them wench or peasant as it displays a lack of breeding and suggests that you may be one of those unfortunates who have not have inherited your own servants. Should you need to season your food you wipe the tip of your knife (napkin, not sleeve or neighbour) and use it to gather salt from the open salt cellar and sprinkle it on you food. Spices are taken with the tip of the little finger, so it is good manners to keep your little finger ‘cocked’ whilst eating to avoid getting grease in the spice dish. Use the occasion as an opportunity to display your rapier/mace like wit and entertain your companions, though not whilst chewing your food. It is very good form to share drinks, especially if it is an aged mead or fine wine of Gascony. Conversely if you are drinking cheap Lambrusco, it is good form to keep to yourself. If you are offering someone your cup, wipe the mouth of the goblet before passing it to someone else, they should then wipe their mouth before drinking [napkin not sleeve], drink and then wipe the mouth of the goblet (not gobbet) and pass it back. If you are drinking ale, the new hopped beer or some other heady drink it may be better to not share a cup but offer them a cup of their own. A banquet is a celebration and should be enjoyed. However it is advisable to temper your celebrations as you don’t want to wake up the next day and be informed that you have promised to loan money/go on Crusade/fight a duel/enter a monastery or marry someone’s ugly daughter. Remember no better statement of largesse and breeding can be made than to select some of your finest vintages and present them to a writer on medieval etiquette at the next tournament !